What's better than a killer workout? A killer workout with your best friend. 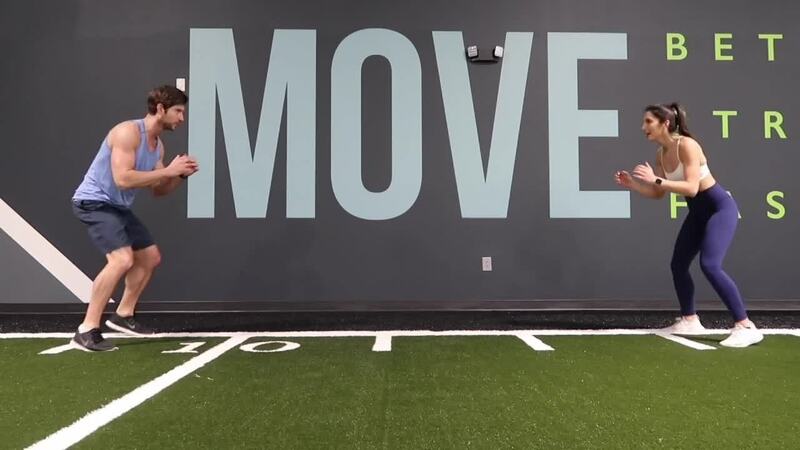 Studies show that working out with an emotionally supportive partner can motivate you to exercise more often and increase your workout efficiency. 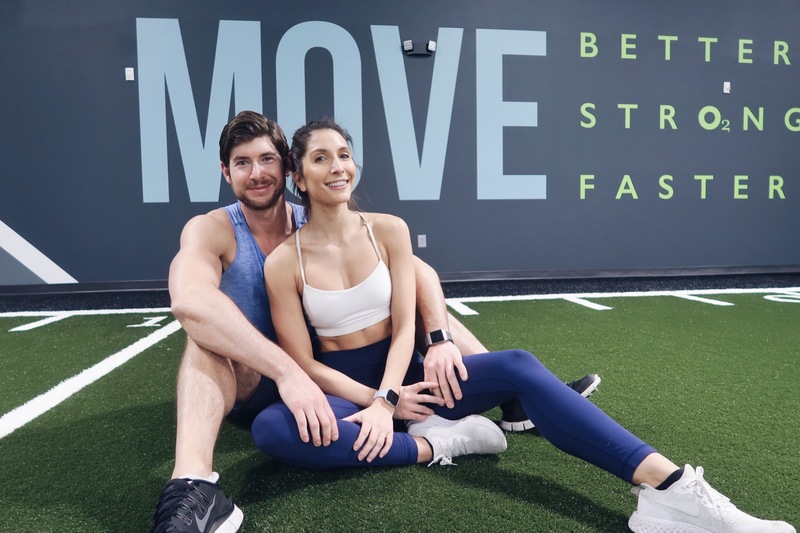 This month, we're highlighting O2 couples who check in together each week and encourage each other throughout their workouts starting with Ledina and Mark Esserman. These fitness fanatics met in school in Dallas and married in 2016. Staying active has always been important to them as a couple. Once they made North Carolina their home, they joined O2 Fitness Park Place in August 2018. When did you two start to work out together? Mark: I was a personal trainer for years so when I met Ledi in school, I was teaching bootcamps and kettlebell workshops at the time. Ledi was always athletic but never really went to the gym. Fitness was basically a way that we bonded. I feel so lucky because I could have a wife that says "Why do you always go to the gym?" but she loves it, too. Ledina: I would randomly go to the school gym but not much else. Mark got me into fitness and perfected my form and technique. When we were dating I was trying to impress him any way I could. With kettlebells, he really helped me and I started to feel like, "Wow, I'm doing something good and healthy." That's when my love for fitness grew in terms of exploring different exercises versus just doing cardio and the basics. Do you come to the gym together or separately? Mark: It depends. During the week we have to go separately. Being a student right now I tend to go during the day and Ledi goes after work. Ledina: On Saturday and Sunday we always go together. When you are at the gym together, do you work out together or separately? Mark: Usually we check in, give each other a kiss, and do our own thing. We do a lot of drastically different workouts. I stick with heavy lifting, HIIT training, and long distance running. Ledina: I warm up first with cardio and then do my weights. I can't run long distance because of a foot injury, so it wouldn't make sense for me to do the same routine as him. Lately we've been talking about doing leg day and arms together, so we'll see. Mark: They're similar in the sense that we both care about both fitness and physique. As a guy I do a lot of mass-building stuff. Ledina: Mark's goals are to lean out a lot so he runs every time he works out. My goals are different in the sense that I want to look more lean but I don't do the mass-building that he does. Ledina: When I'm feeling weak, Mark reassures me because he's in a stronger mental state than me when I'm feeling that way. He'll tell me positive things. Mark: I think your average couple will tell you "he or she really motivates me to go to the gym." But we don't have that problem at all about getting there. We motivate each other more to eat well. We cook every night. Ledina: For us, going to the gym is a hobby. It's whenever we're feeling weak in our healthy eating that we try to motivate each other. Every meal that we cook is super healthy except for our cheat meals. The other day we had a big cheat meal and said we totally deserve it. A few days later I was really craving one badly and Mark said, "We can't, we just had one." Tell us more about these cheat meals! Mark: They're always a Friday or a Saturday. Ledina: It's something we do together. 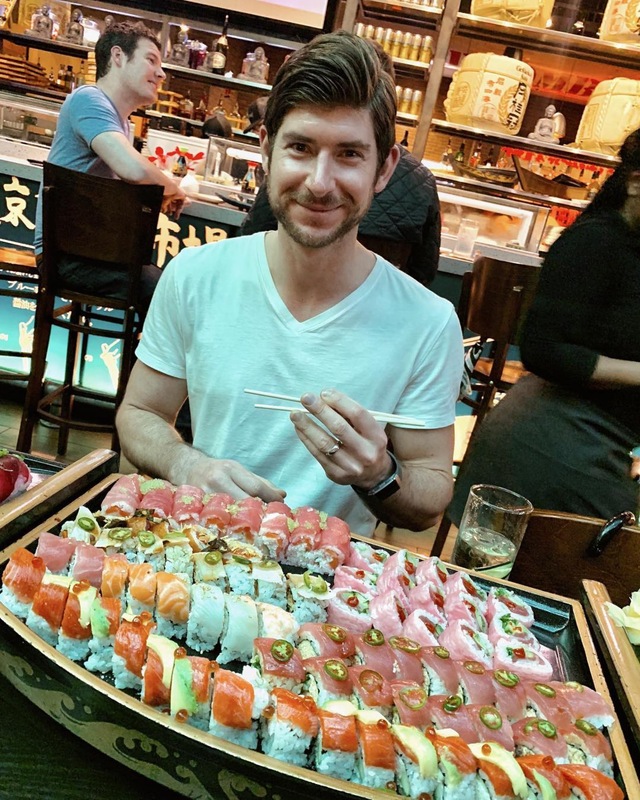 Mark: Our cheat meals are a romantic event. We put on a movie and we both get on the couch. We'll have pizza and cake or sushi. I like big slutty brownies. They're three layers. The bottom layer is chocolate chip cookie dough, then covered with Oreos, and then you pour brownie batter over it and bake it. Ledina: Sometimes we'll have a large pizza and then chocolate cake and vanilla ice cream. When we do have a cheat meal it's truly deserving and it's a benefit to our metabolism. Ledina: We grocery shop on the weekends together. I love cooking and before I was working, I would do all the cooking. I was always experimenting with healthier alternatives to meals that I really enjoyed. I've created my own version of things that I love. Mark: Now I do all of the cooking during the week. We cook relatively the same 5 or 6 meals at home and we interchange them. We do experiment, but for the most part to be healthy, we have 5 or so meals that are easy to make, really good, and that use all the same ingredients. Ledina: If we have something heavy the night before, the next night we do something low-calorie. Always after a cheat meal, the day after and the next 2 to 3 days we eat low-calorie. What are you favorite workouts to do together? Ledina: We used to have a workout where we did burpee ladders. In the end you do 170 burpees total. I invented it. Let's say the ladder is 1-10. I'll do 1 burpee, he does 1 burpee, then I do 2 and he does 2. You go all the way to 10. Then we'd run around a track two times and go 1-5. That's what we'd do together and we push each other until we're on the verge of dying. Mark would say, "Come on, you have just a couple more."